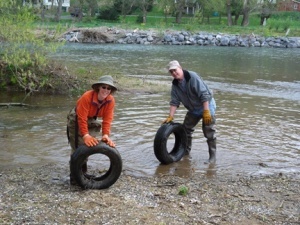 Join a River Clean-up Crew! Join us for one of our river clean-up events. We hold these every spring and fall on a Saturday morning. Click here to learn about our biggest tire haul ever with Virginia Eagle Distributing. 305 West Court Street, Woodstock. View map here. Ending time is usually between noon and 1pm, or when we fill the trucks. Bring water and wear long-sleeved shirts and pants and thick-soled shoes. Bring leather or sturdy work gloves if you have them. CLICK HERE TO CONTACT US: let us know if you’d like to join us this time or at a future date and if you might be bringing others, need a ride, have a truck, or have any questions. Do you know of a river or stream site that needs help? We are always interested in finding new sites. 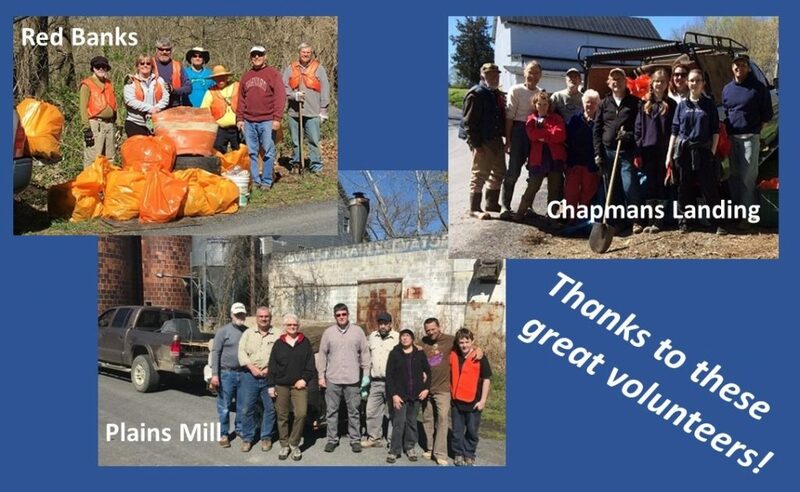 We welcome businesses, scouts, and other groups who would like to help out on any sections of the river and we can plan extra days if there is a lot of interest.